Zumba® can now without a doubt be called the hottest workout routine in the world! The most effective workouts are the ones that don't feel like workouts. Zumba® is one such workout that has something for everyone. If you have been working out for a while you know that even enjoyable workouts become boring after a while. Besides a 50 yr. old person may not want to do the same routine he did when he was 30! Zumba® recognizes this and has different routines for every age group. There is Zumba® Toning for those who crave Aerobics and cardio. Aqua Zumba®brings Zumba® elements into the water for a splashing good time. Zumba® in the Circuit provides Zumba® circuit training and strength exercise into an in-and-out 30 min. session. Because Zumba® is a dance activity done within a group setting, our Zumba® instructors do not take personal training classes. Our trainers however are more than happy to conduct group sessions for more than 5 people in attendance. Feel free to get in touch with us for single one-off Zumba® events and parties or group classes. If you would like to start doing Zumba® the best way to get started is to join a local Zumba® class in your area. On the other hand if you would like to do Zumba® in your apartment building's premises or throw a Zumba® dance party or event we can help. We also conduct corporate Zumba®sessions at companies and Hotel conferences. Want to do Zumba? 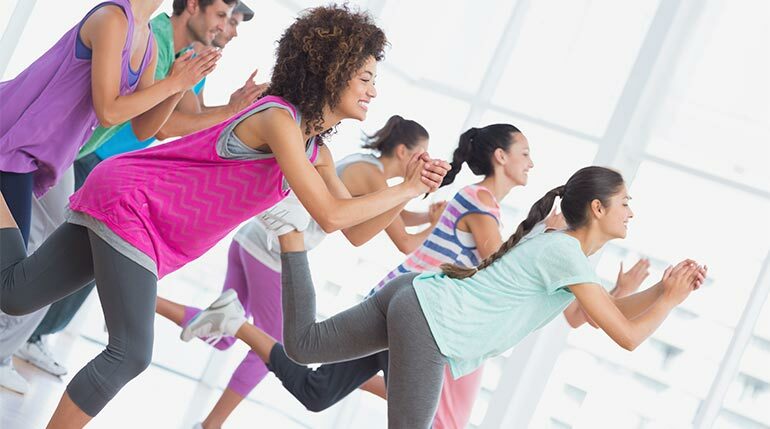 Here are some ideas - Zumba® birthday parties for kids, Zumba® at your kid's school, Zumba® for grandparents, open a Zumba® dance studio, run Zumba®classes at corporate companies. For each and every venture listed above we can help provide you world class Zumba®instructors.